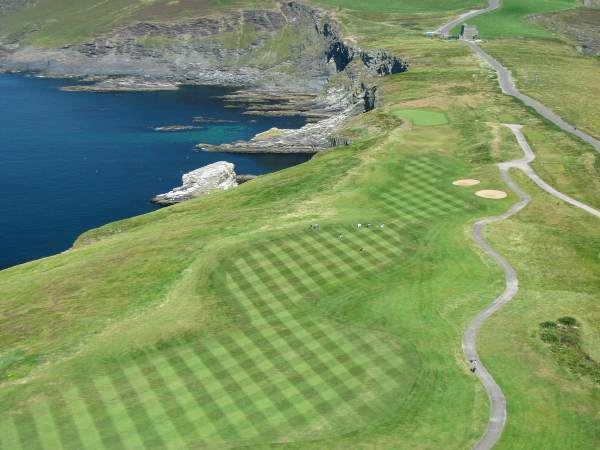 " /> Since its official opening on June 1st 1997, the Old Head Golf Links has become one of the most talked-of courses in world golf. It is built on a 220-acre diamond of land, jutting out over two miles into the Atlantic Ocean. 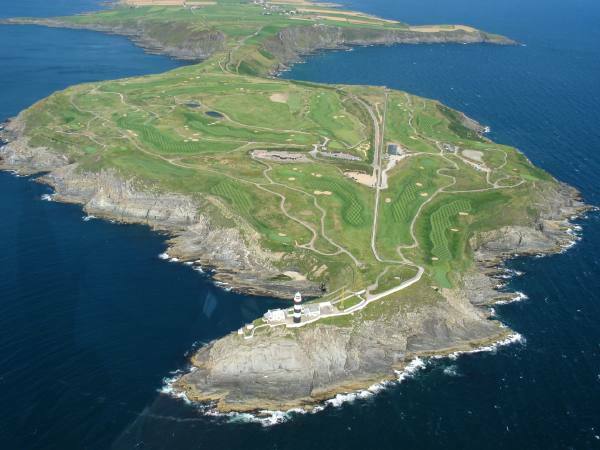 The promontory is almost an island with numerous caves running beneath your feet as you play the course. Nine cliff-side holes offer awe-inspiring views of churning breakers nearly 300 feet below. 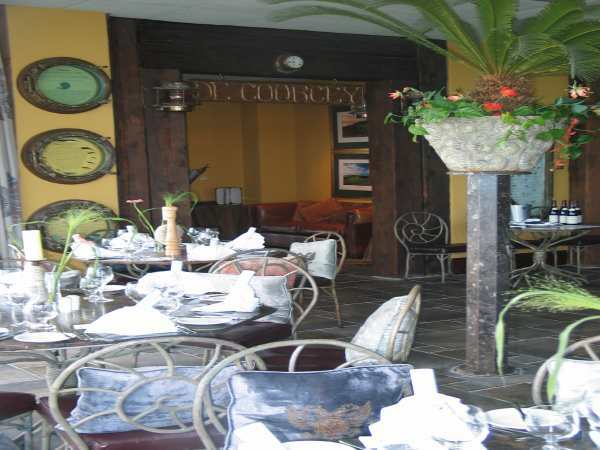 In 1989 the 220 acres were acquired by John and Patrick O’Connor. It was then designed and constructed by a unique team, Ron Kirby - former designer at Jack Nicklaus’s Golf Design Services, Paddy Merrigan - Australian course architect and agronomist, Liam Higgins - one of Ireland’s best know golf professionals currently on the Seniors Tour, the late Eddie Hackett - former Irish golf professional and golf course designer, the late Dr. Joe Carr - Ireland’s most successful international amateur golfer and finally, Haulie O’Shea – building contractor.. The Links opened for play in 1997. 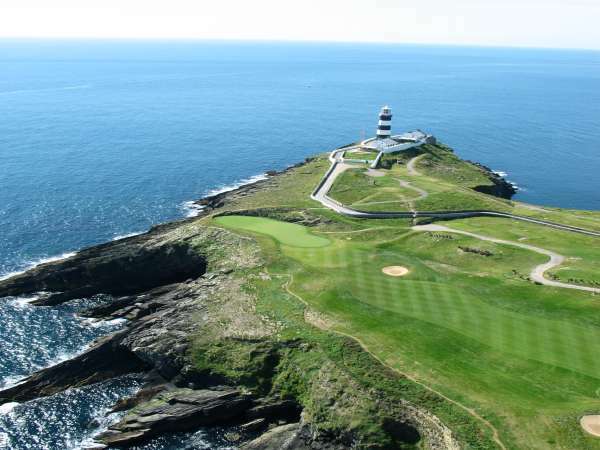 Old Head, par 72, comprises of five Par 5s, five Par 3s and eight Par 4s – stretching to over 7,300 yards from the tips, with a minimum of six tees per hole. All eighteen holes provide stunning ocean views. With the ever-changing sea breezes, the course provides a stern test to the touring pro and the high handicapper alike.